Address: 2000 W Bethany Home Rd. 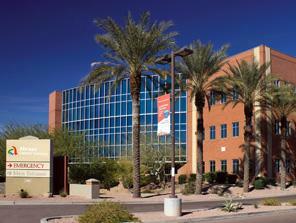 Come join an established and recognized cardiology team in Phoenix, AZ! We have an opening for 1 full-time physician who is board certified in both Cardiology & Interventional Cardiology. This position will be a mix of procedures + surgeries and outpatient consultation. We are looking for someone who is dedicated to providing the best possible care and can provide a base of 100+ interventions per year. Since our group is already fully established, all of the necessary equipment and tools are in place and ready! Standard daytime hours - Monday through Friday. Call is shared equally with all members of the group. In order to be considered for this position, please apply with a copy of your most current CV. A cover letter is encouraged but not required. Abrazo Central Campus has been your community for more than 40 years, growing along with the city to provide you the best possible care, close to home. As a 221-bed acute care and teaching hospital, we can offer you a complete range of healthcare services, from women’s health and wellness, to cardiac care and neurology.